This year Minnesota joined 21 other states and adapted the Theraputic Research Act so as to allow for the medicinal use of marijuana. 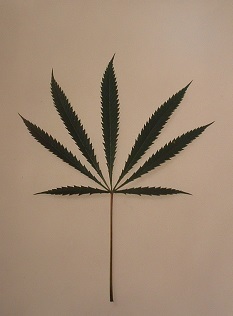 Though the legislature was originally concerned about the medical side effects of chemotherapy for cancer, the final Act allowed nine qualifying conditions into the marijuana medicinal use program, including cancer; seizures including epilepsy; glaucoma; multiple sclerosis and other disorders that cause severe muscle spasms; amyotrophic lateral sclerosis; HIV; AIDS; and Crohn’s disease. Earlier this month however, the medicinal use exception under the Act was widened to include “intractable pain.” Specifically, this means pain that “cannot be removed or otherwise treated.” For recreational use, however, ”cannabis” remains illegal in Minnesota. (See this map indicating which states allow legal use of medical or recreational marijuana. This is still pretty newsworthy, considering the historical/legal/cultural roller coaster that marijuana has experienced in our society. According to this timeline, the cultivation of hemp was encouraged in our nation’s early years for practical uses such as making rope. But the cultural climate had changed considerably by 1936, when the propaganda film Reefer Madness was produced to warn young people about the dangers of a life built around recreational marijuana use. So if you or someone you love is experiencing what they consider to be intractable pain, is this the green light to light up? Not exactly. To be covered under the Act, both a patient and their physician are required register with the Department of Health. Meaning, a patient will first need to convince their physician that their pain indeed meets this “intractable” threshold. Also, they will have to wait until August 2016 to actually receive the marijuana for use. For more information about Minnesota’s medical cannabis program, please visit the Minnesota Department of Health’s medical cannabis website.